Kate and her niece Ruby headed to Melbourne Museum's latest blockbuster exhibition Brickman 'Wonders of the World' last Saturday and needless to say they were blown away by the cheer talent that the Brickman team demonstrated. World monuments perfectly replicated using LEGO®. Thank you Kate and Ruby for attending the exhibition and thank you to the Flourish team for inviting us. To follow Kate's adventures, head to her Insta account. 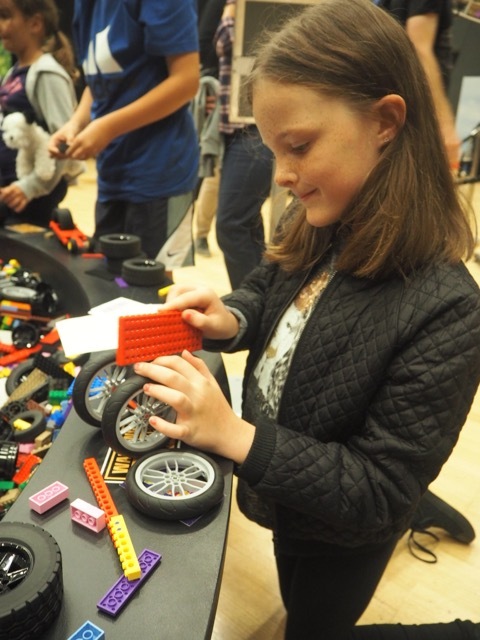 The biggest interactive LEGO® exhibition has arrived at Melbourne Museum and is a must-see these school holidays for all LEGO® lovers – both young and old! Thanks to Ryan ‘The Brickman’ McNaught (the only LEGO® Certified Professional in the Southern Hemisphere and one of only 14 in the world!) you can explore a world of epic masterpieces made entirely with LEGO® bricks at the ‘Wonders of the World’ exhibition. Budding builders will also be excited by the opportunity to build their own models to add to the exhibit! Incredibly, ‘Wonders of the World’ took a jaw-dropping 4,944 hours to build and features more than 50 awe-inspiring and never-seen-before models, taking visitors on a hands-on journey through history. Each model includes a plaque with information about the real place, item or vehicle as well as behind-the-scenes stories about how they were built. With so many incredible models it's definitely too hard to pick a favourite; Ruby and I stared in amazement at the Air France Concorde jet (complete with seats and miniature luggage), the intricate detail of the Titanic, Tokyo Subway Map, landmarks including Saint Basil’s Cathedral, San Fransisco’s Golden Gate Bridge, Taj Mahal, Statue of Liberty, Big Ben and Mount Rushmore plus a replica of the famous Flying Scotsman locomotive which is over 3 metres long, weighs over 80kg and features a staggering 164,611 bricks – the most bricks used in the entire exhibition. It’s hard not to love the intricacy in each exhibit and Ruby also loved spotting the mini LEGO® figures hiding in several of the models too! Scattered throughout the exhibition are build stations where you can build your own model to add to the exhibit. Create vibrant coral next to the Great Barrier Reef, build a statue to sit next to Michelangelo’s David, design a car to be stuck in the traffic jam around the Arc De Triomphe, replicate the stunning Great Pyramid of Giza or construct a building to rival the uniqueness of the Leaning Tower of Pisa. 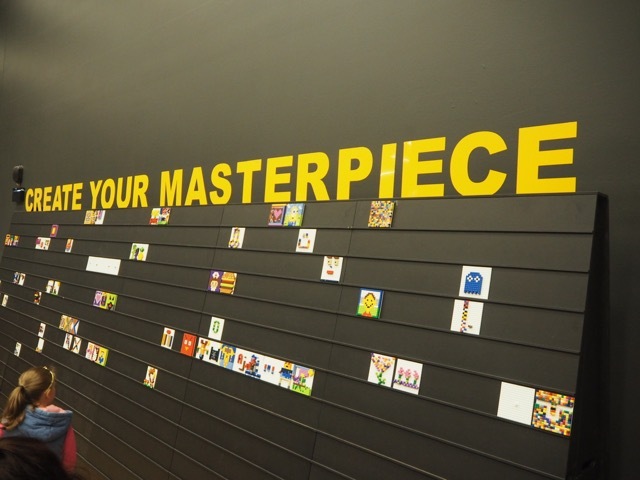 Be sure to add your own mosaic tile creation - made from teeny tiny 1x1 LEGO® bricks - to the display wall too. 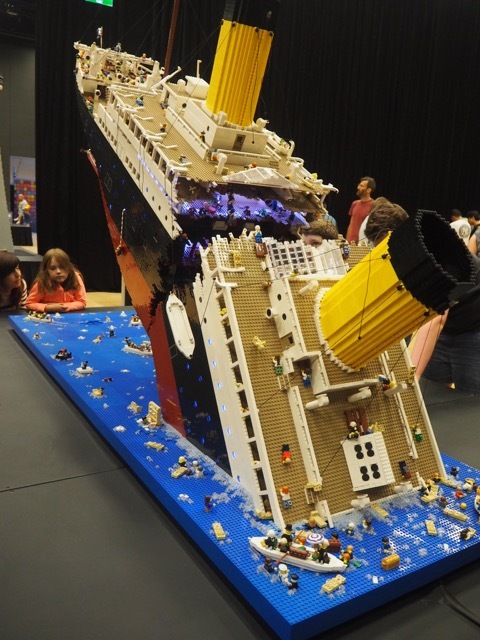 Brickman ‘Wonders of the World’ is an exhibition that will not only inspire, amaze, educate and entertain the whole family but I guarantee you that you will also walk away with a whole new appreciation for those colourful LEGO® bricks! For more information, head to the Brickman 'Wonders of the World' dedicated website. On until Sunday 7th of May 2017.